Part of the challenge of reporting on the sequestration cuts to the federal budget, with an emphasis on its impact upon ordinary Americans, is the diffidence and confusion among federal agencies regarding how they had planned to absorb their share of the $85 billion in cuts this fiscal year. Now that the nation is well into Fiscal Year 2013, the parameters of the cuts have begun to take shape. In New York, for example, where rents are astronomical and often out of reach for lower-income tenants, many people rely on their access to Section 8 housing vouchers. Now, as the nation staggers toward the reality of the sequester, it appears that New York may lose as many as 6,000 new housing vouchers that had been slated for availability this year. 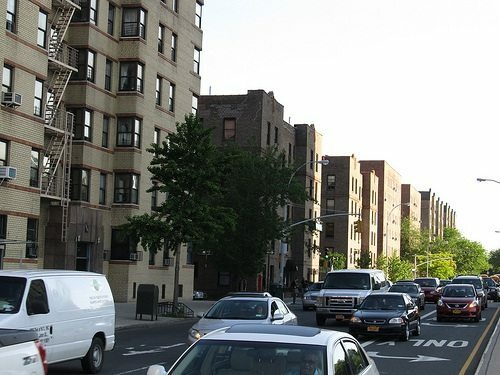 In New York City alone, three agencies—the New York City Housing Authority (NYCHA), its Department of Housing Preservation and Development (HPD), and the state’s Department of Homes and Community Renewal (DHCR)—administer 150,000 Section 8 vouchers. They are all, unfortunately, taking divergent paths toward absorbing the cuts. HPD, for example, is canceling plans to issue 1,000 new vouchers and changing the formula by which it calculates Section 8 subsidies. This will effectively reduce the subsidies for the 37,000 vouchers it administers by $100 to $400. NYCHA has yet to make a public statement of its approach, but an insider told the press that the agency will not issue 5,000 new planned vouchers. It plans on keeping the subsidy formula the same, though doing so will require tapping NYCHA’s reserves. DHCR, with 44,000 vouchers under its oversight, hasn’t disclosed a whit of information about its plans. Remember, this is just about the cuts for Fiscal Year 2013. There’s no sign of any intervention to save subsidized housing the way Congress jumped into the fray to rejigger accounts to eliminate furloughs for air traffic controllers. And in the fall of this calendar year, we begin Fiscal Year 2014, and a new full year’s worth of sequestration cuts begin then, too.